If you live in the Bradford area and you are looking for a multi fuel stove you have come to the right place! We are located in Stanningley, Leeds, just on the fringe of Bradford where we have a large showroom which has a number of live displays allowing you to see how your new multifuel stove would look and feel in your home. Call in and feel the warmth! To ensure that we supply you with high quality multifuel stoves, we stock stoves from many of the leading manufactures such as Hunter, Di Lusso, Yeoman, Stovax, Burley and Dunsley and also from some of the less well-known brands such as Westfire, Dik Guerts and Mendip. All great brands and all at great prices. With such a large choice of designs, finishes and brands, we think you are certain to find your perfect stove at the Leeds Stove Centre. With our showroom being so close, it really is worth a visit. Plus, our experienced retail staff can talk you through all the options, such as hearths, chambers and doors. 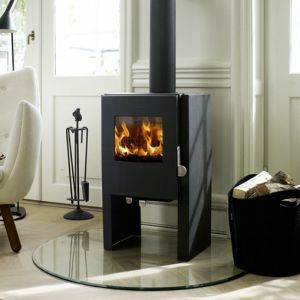 Leeds Stove Centre are also able to install your multifuel stove in your home and our highly experienced in-house stove installers can install your multifuel stove to the highest standards. We can also carry out chimney test and are able to fit flue systems where required. All our engineers are HETAS Registered with some also being Gas Safe registered too. To arrange a free installation quotation, please contact us on 0113 255 5622, or for more details on installation, products or services.